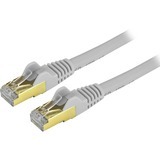 Here's a powerful and cost-effective solution for upgrading your server or workstation to 10 Gigabit Ethernet networking over copper. 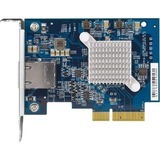 This PCI Express 10G NIC lets you add an Ethernet port to your server or desktop computer and access your network at multiple speeds: 10G, 5G, 2.5G 1G and 100Mbps. 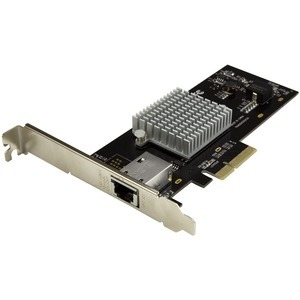 This 10G network card utilizes the Intel® X550-AT chipset, delivering the power, performance and enhanced capabilities you need for dependable network connections. 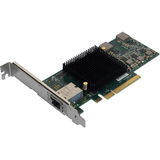 Compliant with IEEE 802.3u/ab/an standards, the 1-port 10G card delivers a dependable way to upgrade or replace your existing network port, providing throughput capability of up to 10Gbps in each direction (20Gbps total). 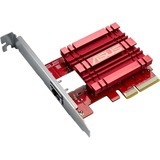 It connects easily through a single, four-lane (x4 or higher) PCI Express slot. 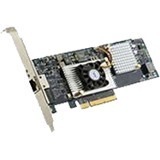 The Intel X550-AT chipset provides many advanced features including Intel® Virtualization Technology for connectivity and PXE network boot support. 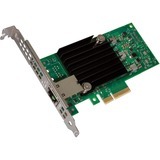 The Intel chipset provides many advanced features to support load-balancing the flow of network traffic, to enhance throughput and provide greater data reliability. It supports Audio-Video Bridging (AVB) to enable tightly controlled media stream synchronization, buffering and resource reservation. 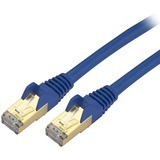 It also lets you take advantage of advanced features such as VLAN tagging, up to 15K jumbo frame support and Auto MDIX.